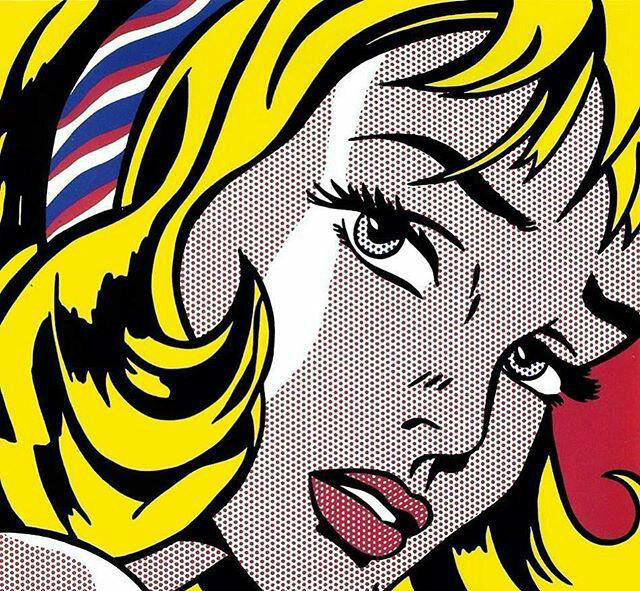 The works of the world’s top pop artists, such as the famous Marilyn Monroe prints by Andy Warhol or the iconic “LOVE” sculpture, are easy to encounter all over the world, but rarely do we get the chance to see the original pieces created by the artists decades ago. Now it is possible thanks to the present unique exhibition created by ComediArting for M Contemporary in Seoul, Korea. 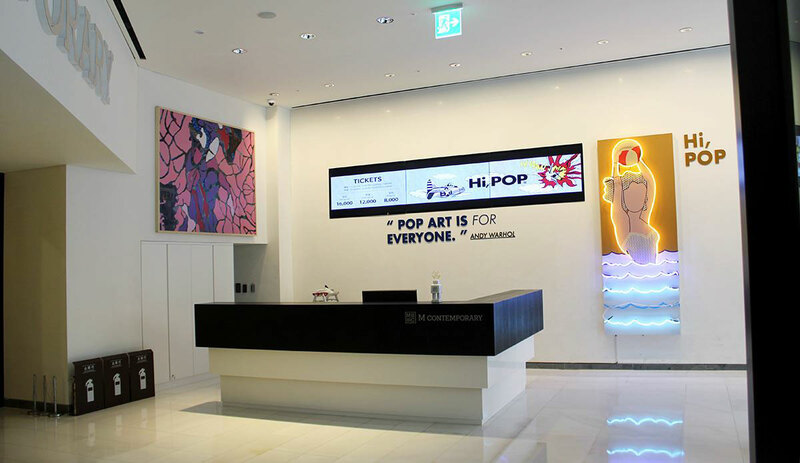 M Contemporary, an art museum that opened last September in Gangnam, southern Seoul, is providing the rare chance to see original works at the “Hi, POP – Art: Off the Walls, Out on the Streets” exhibition that will run through April 15. 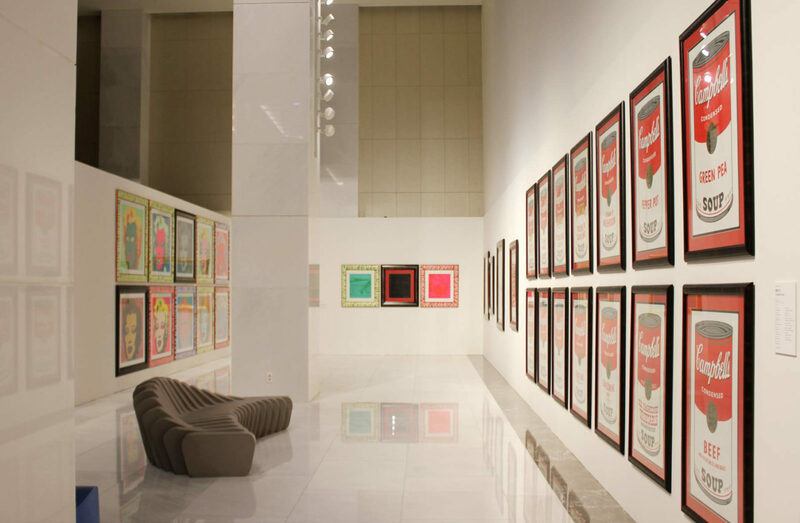 Featuring works by Roy Lichtenstein, Andy Warhol, Robert Rauschenberg, Keith Haring and Robert Indiana, the art museum built by hotel Le Meridien Seoul has gathered some 160 authentic works that have been approved by each artists’ estate or the artist themselves. 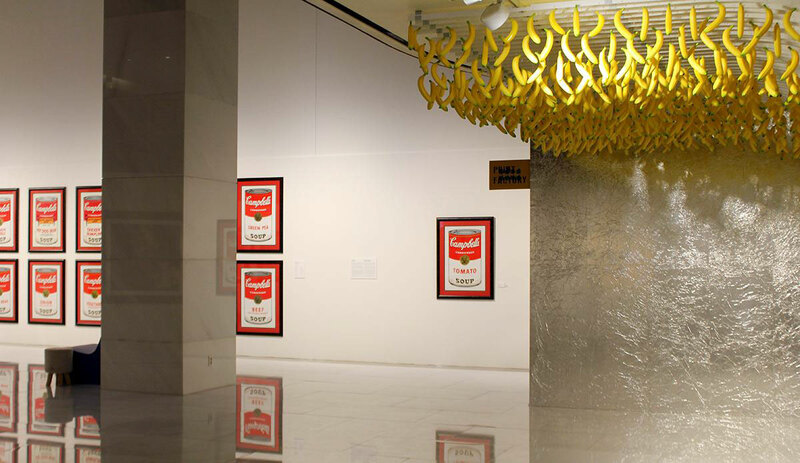 Indiana is the only surviving artist out of the five who are on display. 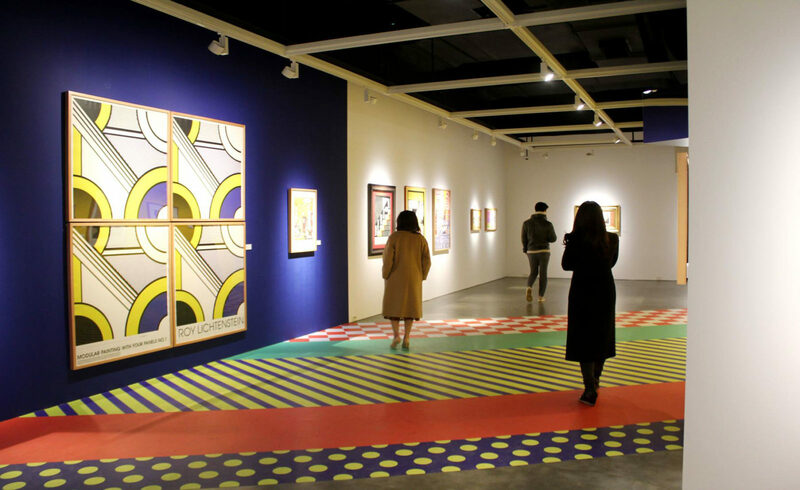 “Pop art is an artistic movement characterized by the use of images and themes drawn from the world of mass media and advertising,” said Maria Dolores Duran Ucar, the co-curator of the exhibition, who made a visit to Seoul on Dec. 14. 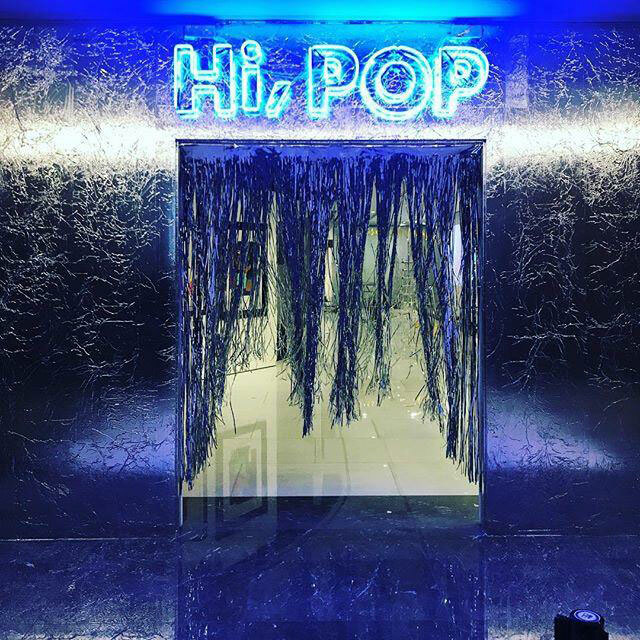 “Hi, POP” seeks to undo that irony, in which pop art has become further away from the reach of the general public. 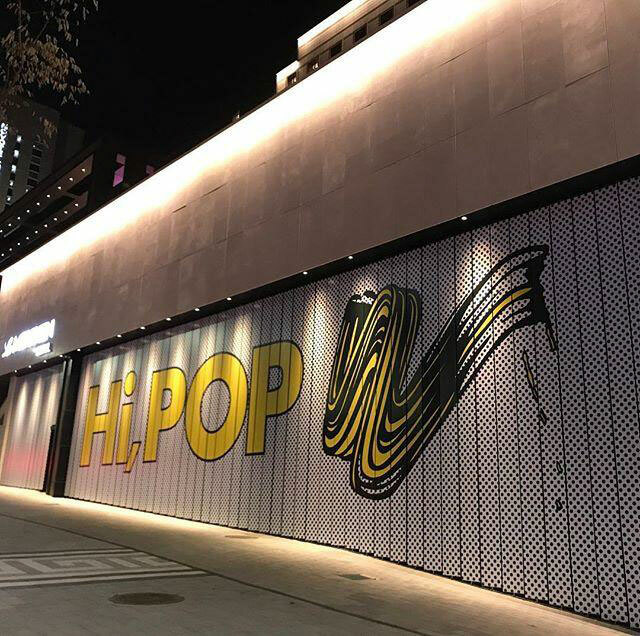 By flying the prints to the heart of Seoul, M Contemporary allows local visitors to see the works of art close to home and presents them in an urban setting. 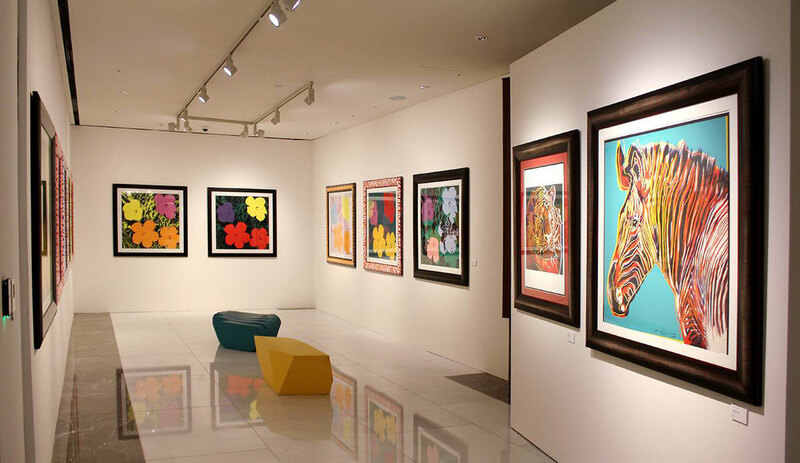 The exhibit features some of the most well-known works by the five artists. 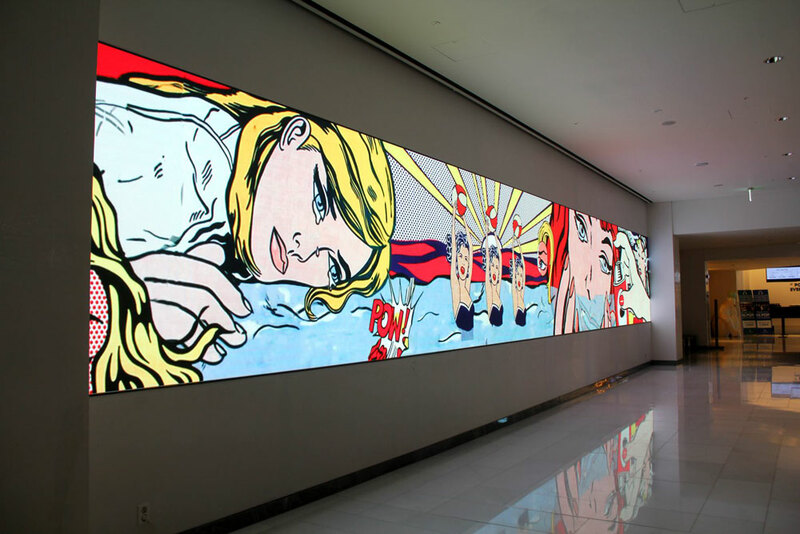 Be sure not to miss “Girl With Hair Ribbon” (1965), in which Lichtenstein used his signature “band-aid” texture by filling up the screen with dots; “Lucky Strike II” (1987) by Haring; and “Campbell’s Soup I” (1980) by Warhol. 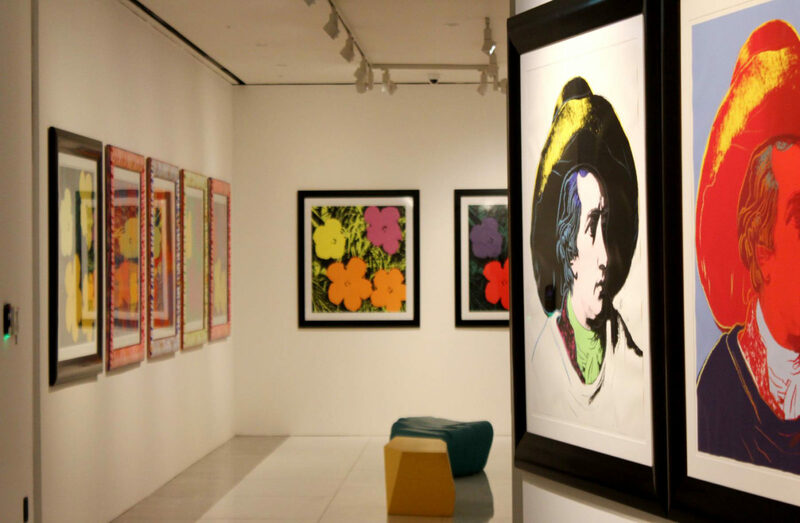 To offer a richer experience for visitors, each of the gallery spaces have been decorated differently. 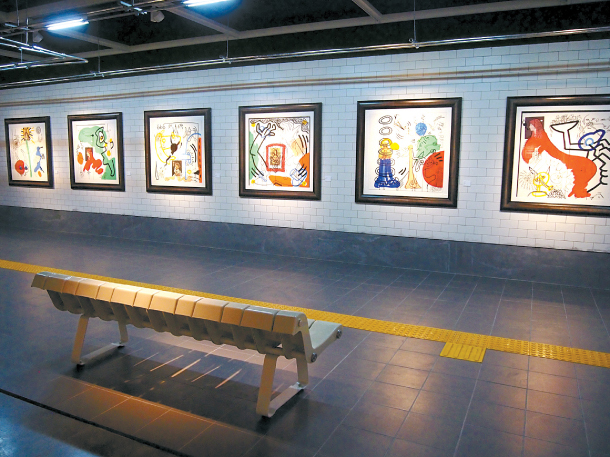 For instance, Haring’s section has been turned into the New York subway platform where he first presented his works. 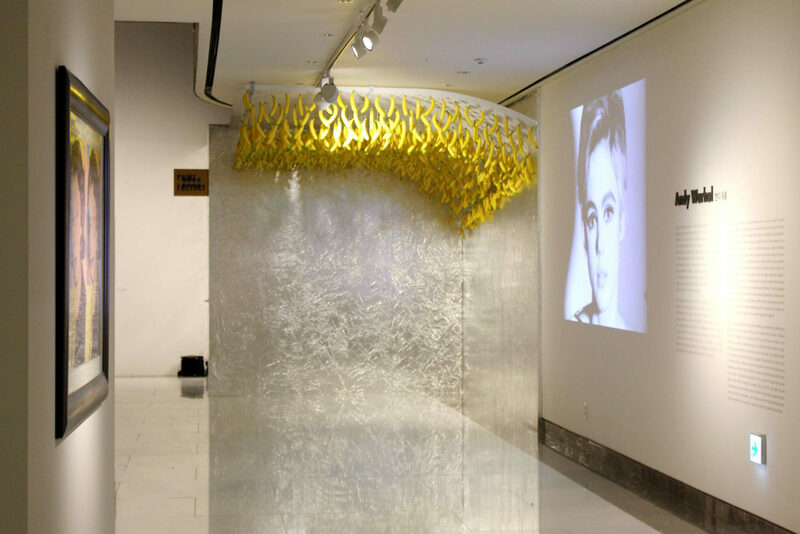 The gallery that holds the work of Indiana has recreated the studio where he works. 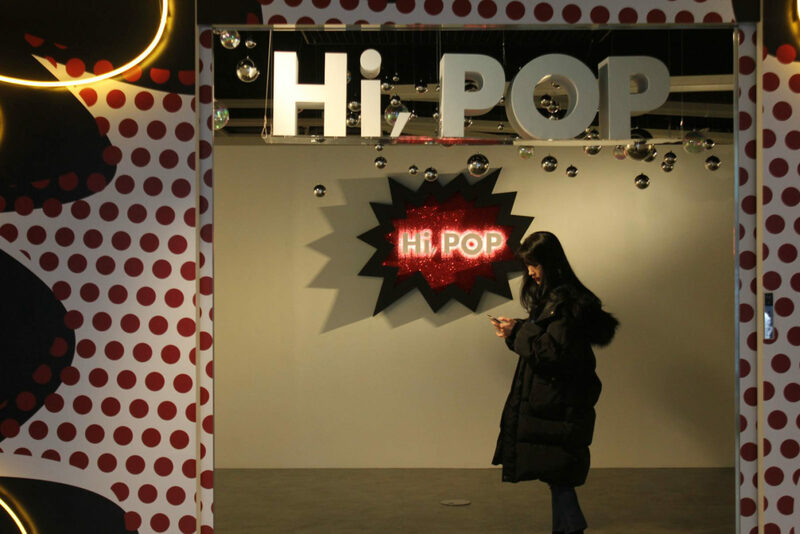 “The ‘Hi, POP’ exhibition will serve as a means of time-travel, taking place in a museum at a time when the boundaries between the museum and everyday life are becoming increasingly obsolete,” said Woo Hyun-jung, co-curator of the exhibit.